Are you single and ready to mingle? Perhaps you’ve recently broken up with your ex or you’ve finally decided you better get a move on to finding your Prince Charming, who may be struggling to find you at this very moment. Rest assured that you’re not alone in this pursuit. People are looking for – and finding! – love every day. And you can be one of these people, too! Before we begin, pause to consider a few reasons why you’ve had trouble finding love in the past. Have you been closed off? Or perhaps your problem is the opposite, and you try to force love too soon, too fast or in places where it just can’t exist? This can scare people off! If you’ve been antisocial or too busy for work, how do you expect love to land in your lap? 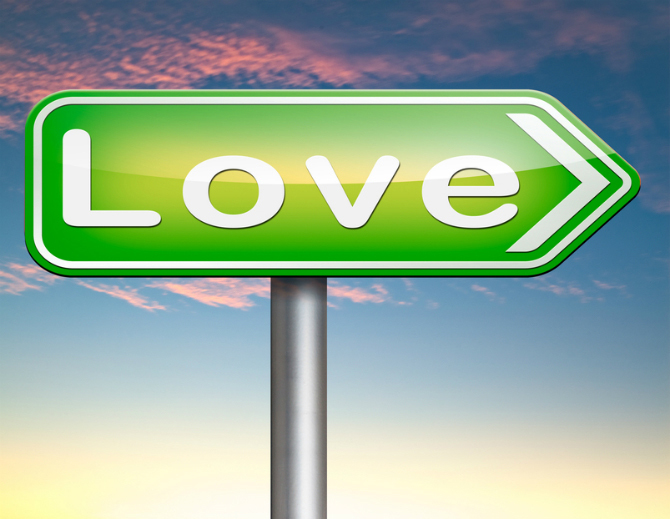 There are changes you may have to make to your attitude and behavior before love can be yours, which is why some of the steps below discuss what you have to change before you can truly find love! There might not be one easy way for every person to find their true love, but the following advice will certainly help you get closer to your goal, especially when you combine advice from these 10 steps to finding love! Now, we’re not going to pretend that no one can love you until you first love yourself because the world just doesn’t look like that. However, it’s much easier for someone else to find you attractive and enjoyable to be around if you agree on those points. Not only does a healthy self esteem help to attract the right type of people and ward of the wrong kind – such as guys who might be physically or emotionally abusive – but it also helps you to sell those traits that will draw others to you. The second step to finding love is absolutely crucial. If you’re still hung up on someone, whether it’s your ex-boyfriend, your first love or someone with whom you were never officially together but still fell hard for, it’s going to be nearly impossible to notice someone else, even if that person actually is your true love. Find out whether it’s true love or not in this article. So make sure you’re no longer Facebook stalking this guy. Take down his photos. Give back his possessions. Find a way to get out you feelings, even if it’s in a letter that you can’t send, and move on with it. These quotes and this advice can help in that endeavor. If you want to know how to find love, then you have to know what you want. Figure out the things you absolutely have to have and the traits that are absolute deal-breakers. Do you plan to have kids? Do you already have kids? Then someone who doesn’t want children will just lead to heartbreak. Some women won’t be okay dating someone who smokes, does drugs or gambles. A man with a steady job and a car is always a plus; although, you may sometimes make exceptions. The second crucial part of this step to finding love is knowing when exceptions can be made. You shouldn’t focus solely on what you think is your type. In fact, studies show that our type is defined more by the person we’re currently attracted to than we realize. Source. While you might have general guidelines that are less important than your deal-breakers, know when to give someone who might not meet all of those guidelines a chance. You might be surprised at the outcome! You’ll never be successful at finding love if you’re not open to meeting new people. This is a hard pill for some people to swallow. Perhaps you have social anxiety, you’re an introvert or you’re hard at working building your own business, which leaves little time left to meet new people. However, learning how to find a relationship comes with a dose of reality: you need to be proactive about meeting new people. With that in mind, we move on to our next few steps in this list. There’s a saying about how doing what you’ve always done will give you what you’ve always got. This is true when it comes to how to find a relationship that will succeed in the future. Not only does it mean you have to make sure to meet new people, but it means that you need to go where quality people are. If all your exes have been less-than-stellar examples of the human race, you might want to try meeting them somewhere other than a bar! And if every breakup leads to havoc at work, it’s probably a good idea to meet people outside of the office! Finally, say “Yes” to some of those invitations you may have declined because you were worried about not knowing anyone or not having a good time! This post lists some great places to meet the man of your dreams. This step might sound pretty broad – because it is! Join a group full of like-minded individuals. It could be related to work, but it doesn’t have to be. After all, it’s not fun to work all the time. Instead, look for groups related to your hobbies and interests. It might be a bowling league or softball team. Perhaps you join a book club, start telling jokes at an open mic night or try your hand at learning how to knit and improve your photography skills. All of these groups increase the likelihood of you meeting someone with at last once similar interest, and that’s a great place to start! Find a cause you love, and give them your time, effort and compassion! Not only will you be helping people, animals or a community in need, but you’re expanding your social circle. Plus, the good feelings you get for helping out someone else will boost your self-esteem, which always looks good on a person. And if you’re adding a little exercise to your daily routine, the endorphins will have you feeling even better. We’ve all been in the position where our well-meaning loved ones try to stick their nose in our business and schedule an unwanted blind date. But you can easily turn their willingness to help into a surefire way how to find love! Just make sure the people you ask know you well and are thoughtful enough to pair you up with people who would be compatible and not just randoms weirdos. If it helps, talk to your friends and family about what exactly it is that you want, and let them scan their networks for potential matches. Check out our dating advice before your first date to put your best foot forward! You’ve decided to search for love high and low. Congratulations! But how can you attract people to you? You’ve got to advertise yourself as a worthy potential match for suitors, and since they’ll likely see you before learning anything else about you, start with your appearance. Now, you don’t need to spend hours at the mirror. Instead, focus on being presentable whenever you go out, even if you’re only running to the corner store. Get a flattering haircut, wear clothes that fit well, are clean and in good shape, get a good night’s sleep and use a couple products that help you look the best. You don’t need a face full of makeup every time you step out the door, but a good face cream or BB cream that helps even out your skin tone and keeps your skin looking vibrant and feeling healthy goes a long way. You’re putting yourself out there for the world to see, but you haven’t got any bites? Is there some secret how to find love that you’ve somehow missed out on? Maybe! Body language is as important as location and intent when it comes to to meeting your match. Without knowing it, you might be sending signals that you’re unapproachable, which works against all the other hard work you’ve been doing. In the age of the Internet, there are more ways to meet men than ever! Look more further than your computer or phone screen, where you can browse through hundreds or thousands of local matches for free from the comfort of your own home. Online dating gives introverts and people with a busy schedule a little hand when it comes to finding love. Try sites such as OkCupid or Plenty of Fish, which allow you to chat with other singles for free. On your phone, apps like Tinder make it easy to swipe through potential dates while you’re watching TV or commuting to work. The practical advice offered in this article can help you find true love, and you can check out our relationship advice to make it last. But your head and heart have to be in the right place, and you’ve got to be prepared to leave your comfort zone for love to come your way. Best of luck to you finding love!